Scroll down the custom jackets and sweaters that were featured as Spotlight Stories in previous years. There are a lot of them, so please allow time for all of the images and videos to load (we've been doing this for a long time). Spotlight Story - Phi Beta Sigma "Mission Impossible"
Jarrod came to us with this image from the hit video game Splinter Cell. He hired us to digitize and embroider this on the back of his line jacket... click "Read more" below to learn more, and be sure to watch the cool music video. Spotlight Story - Alpha Phi Omega "Sixth Sense"
Spotlight Story - Alpha Phi Alpha "Phast Phorward"
"When designing the jacket I knew no stock design would suffice..."
Dance organizations have been popping up left and right lately. 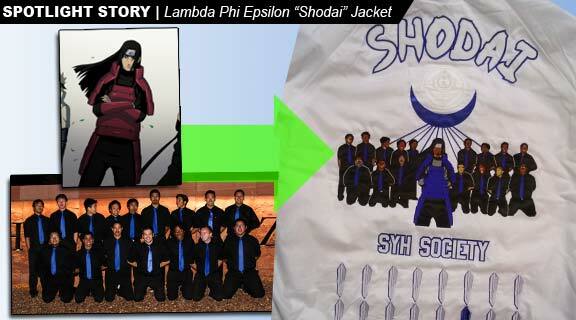 Their Greek jackets have been just as creative as their dance moves. Especially this one. We don't do many TKE baseball jackets but when we do, we prefer to go all out. Check out our friend Perry's new jacket and you'll understand exactly what we mean. Spotlight Story - Sigma Gamma Rho "The Specialist"
Spotlight Story - Omega Psi Phi "QUErain"
Spotlight Story - Sigma Lambda Beta "Santo"
"I simply have not found any other company that can match the quality of S4G jackets." Click here to start working on your masterpiece today! The honey badger, also known as the ratel is a species of mustelid native to Africa, Southwest Asia, and the Indian Subcontinent. Despite its name, the honey badger does not closely resemble other badger species; It is primarily a carnivorous species and has few natural predators because of its thick skin and ferocious defensive abilities. We have reason to believe that anyone with a line name of Honeybadger if a tough character. 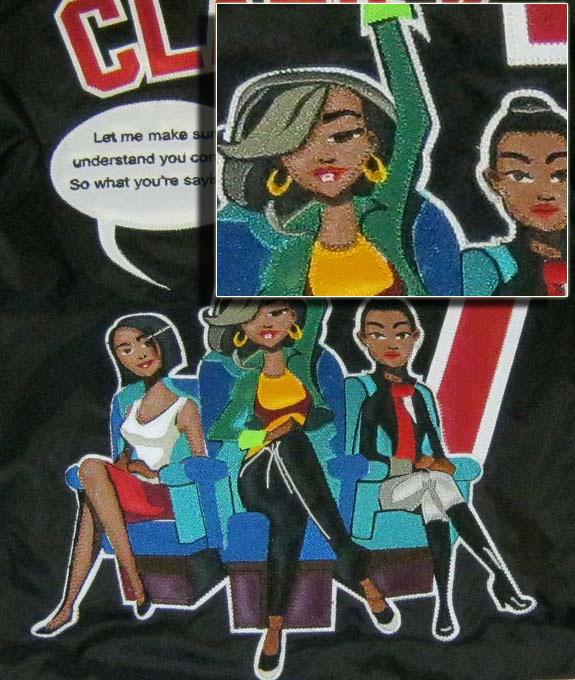 Check out the custom artwork on the back of his Greek line jacket if you don't agree.